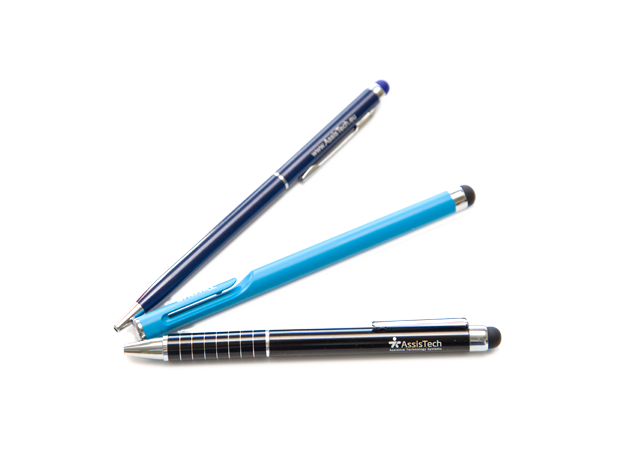 Accessories – AssisTech Sp. z o.o. 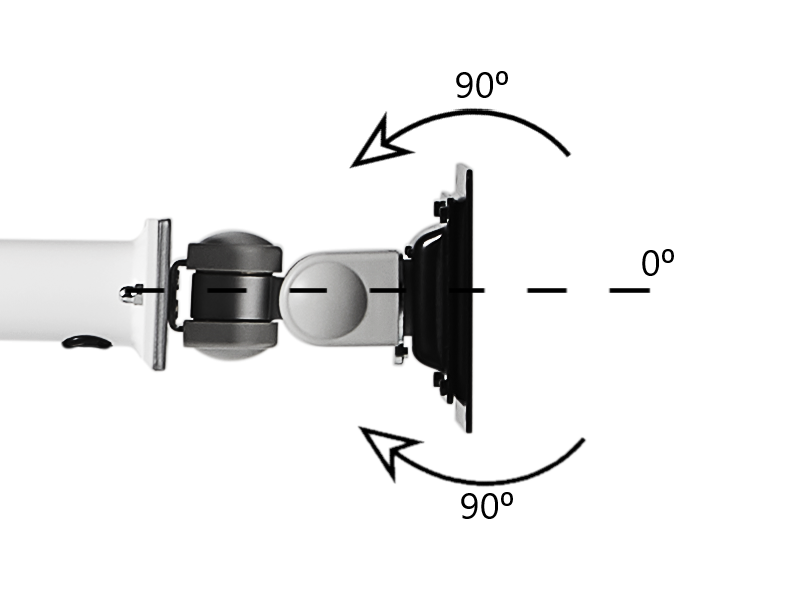 A special support which enables easy positioning of the C-Eye® II, C-Eye® II PRO and mediContact® products in relation to the patient. 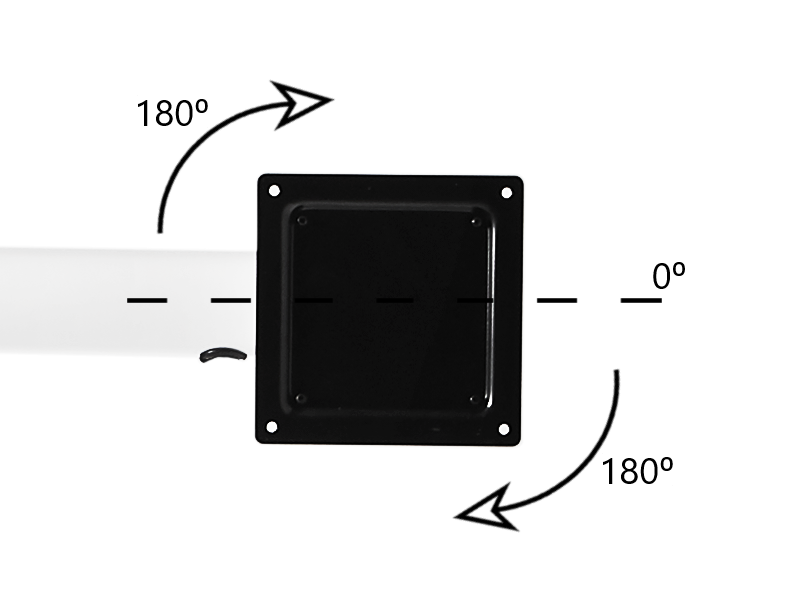 Thanks to this, the patient can fully benefit from the possibility of communicating with their relatives and therapists, without changing their position. 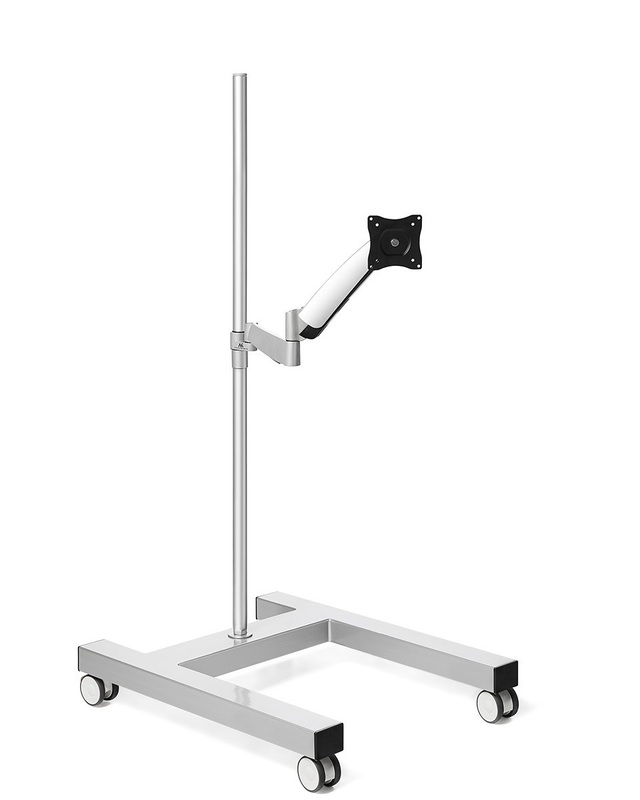 A mobile stand allows the device to be positioned at any angle and at the right distance from the patient. 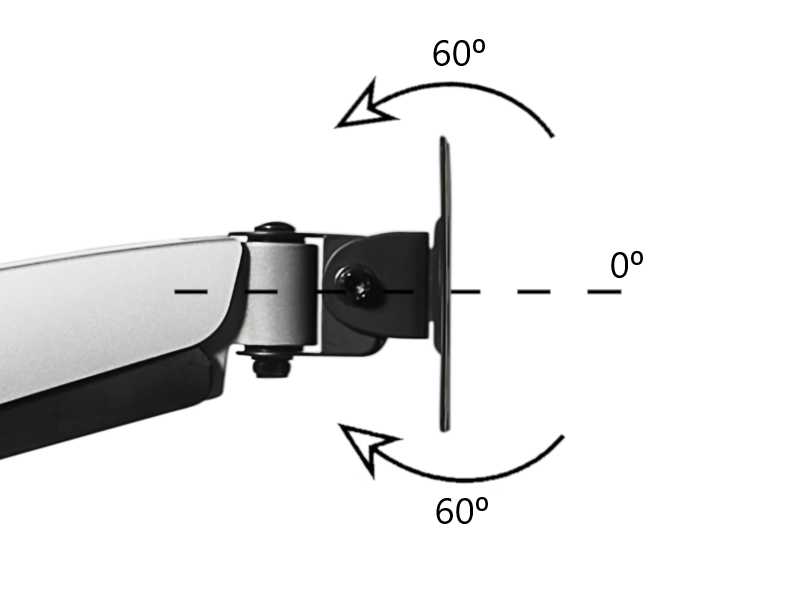 Wheels increase the mobility of the entire set, and the especially designed base allows the device to be placed maximally close to the bed. The wheel lock option provides safety and stability. 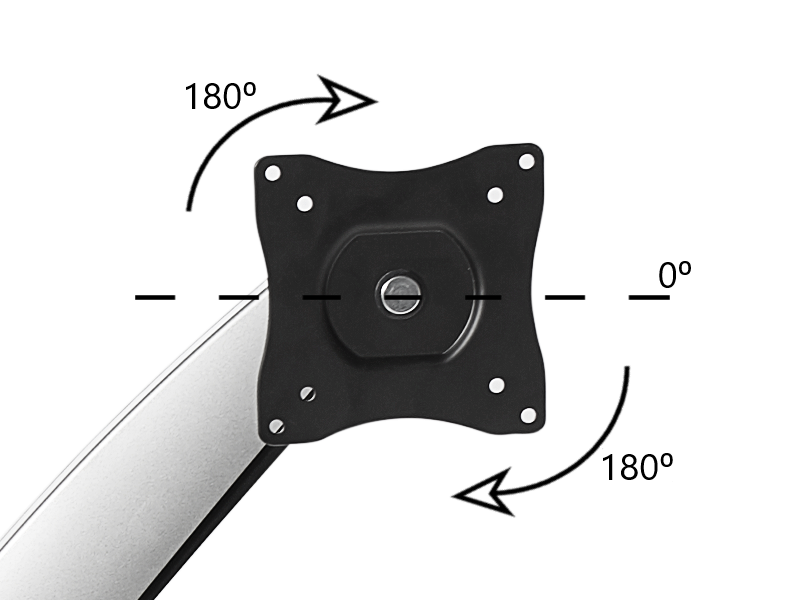 It is also possible to purchase an office arm for mounting products on a desk or table. 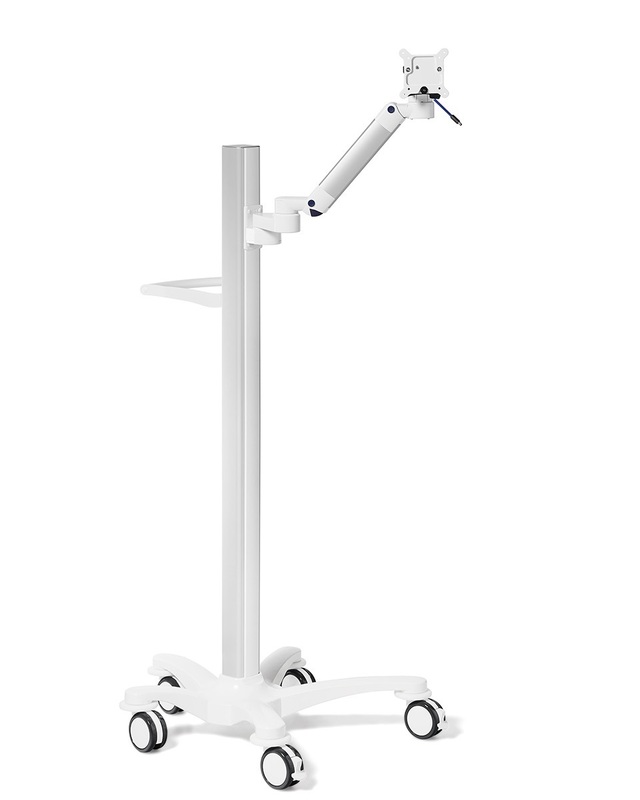 The mobile stand is available in three versions: BASIC, CIMmed and PRO. 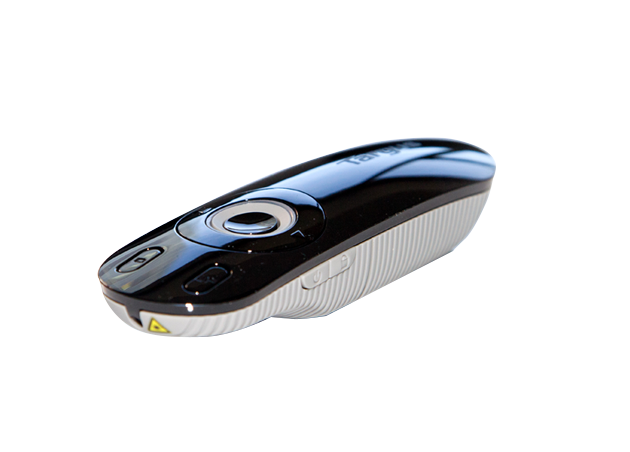 The remote control is designed for remote task management, and it facilitates device operation during therapeutic sessions. 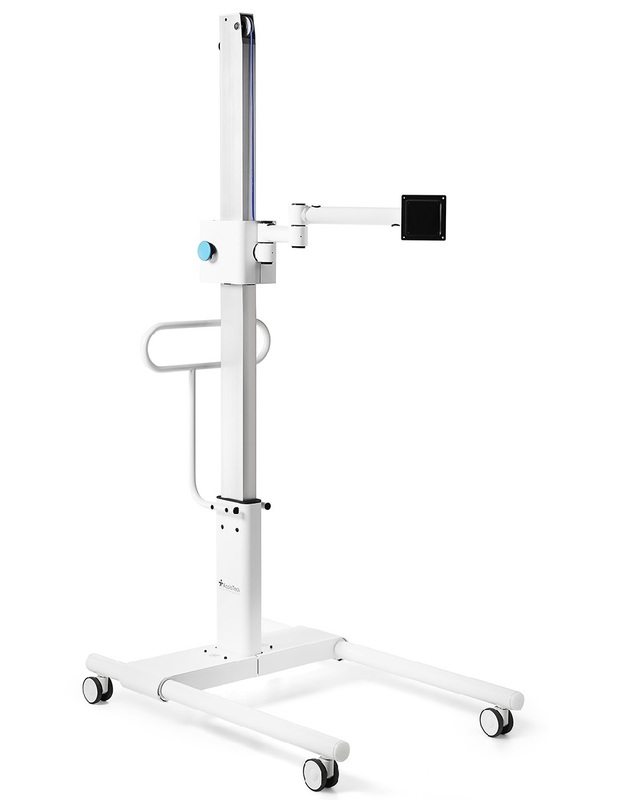 It is supplied with the C-Eye® II PRO – a device designed for use in hospitals, clinical centres and doctors’ offices. 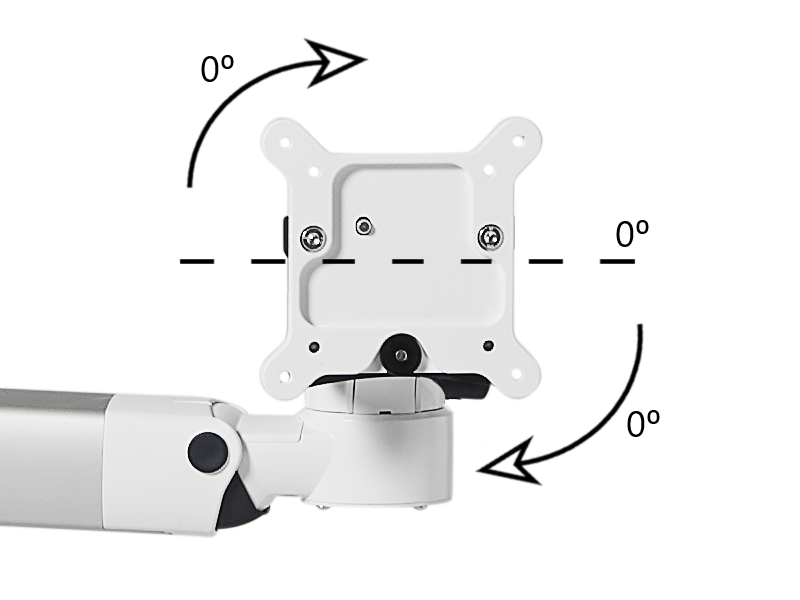 It is also possible to use the remote control while working with the C-Eye® II at home, and if you wish to extend the system by adding a remote-control module, you can contact your customer assistant at any time. 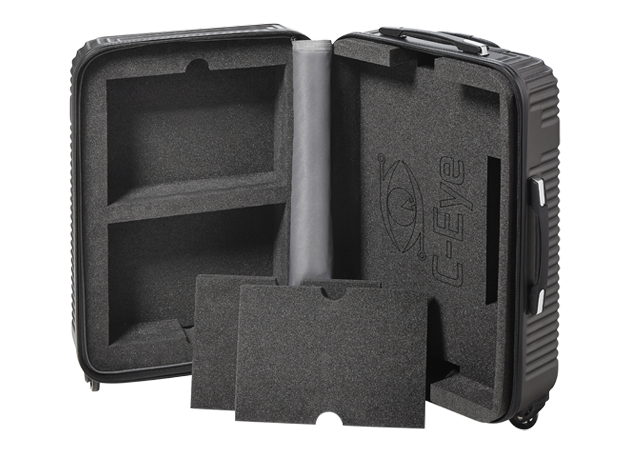 The case is adapted to transport C-Eye® II and C-Eye® II PRO devices. The suitcase has been equipped with special pressings to protect the device from damage. Suitcase has wheels and a retractable handle that increases the comfort of carrying products. 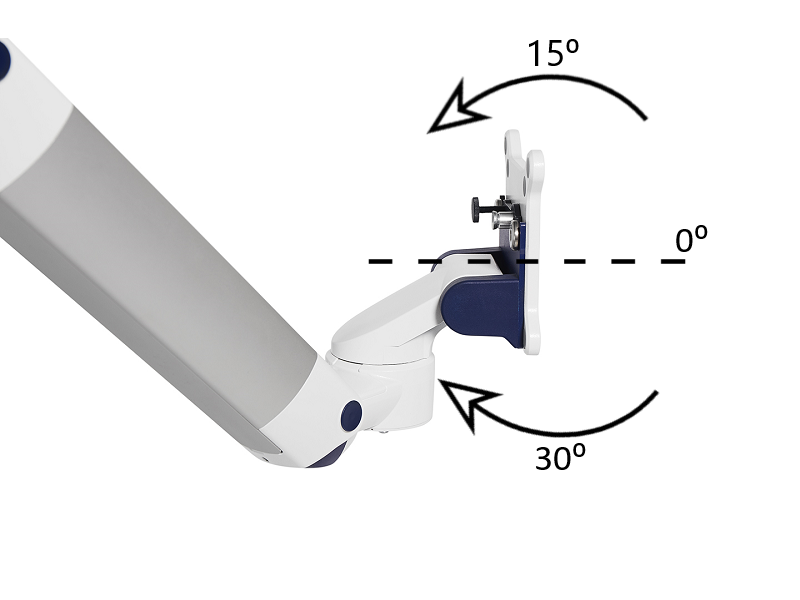 Each offered product can be operated using touch, and in order to maintain a high level of hygiene, a special stylus with a rubber cap is included in the set, allowing efficient operation of touchscreen devices. 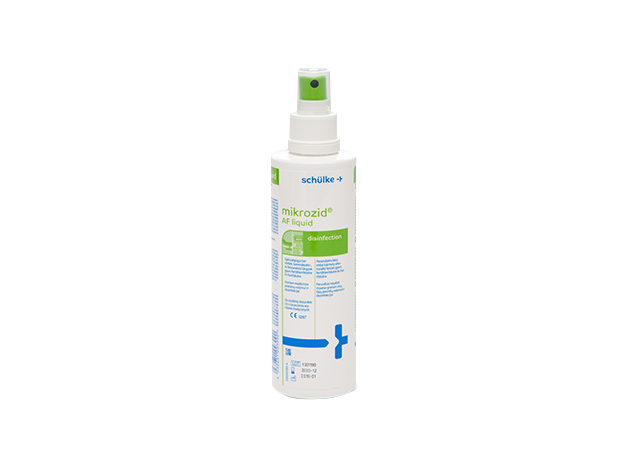 The products can be cleaned with disinfectants for medical equipment. However, it is important to choose disinfectants appropriate for the type of surface to be cleaned and not to apply them directly onto the equipment, as the liquid could enter the device through the openings and damage it.